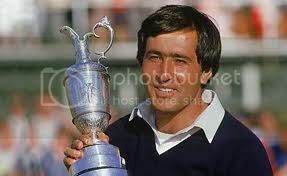 "Spanish golf legend Seve Ballesteros has died after a protracted battle with cancer. The 54-year-old had health problems since being diagnosed with a brain tumour in 2008 after losing consciousness at Madrid Airport. The five-time major winner had four operations to remove the tumour as well as undergoing chemotherapy." A sad loss, will be recognised as one of the all time golfing greats.